We have a dive boat! Introducing the newest addition to Eagle Divers....Gold Land! It is with great happiness and excitement that we finally get to introduce you all to the newest addition to Eagle Divers, meet ‘Gold Land’ our very own dive boat! After a refurb in the dry dock, where the toilets and stair layout were completely changed, wood replaced and a complete paint job amongst other updates, she’s been out running nicely the past week and it’s been a great joy to see guests enjoying sunning themselves on the sundeck and getting comfy in the saloon in between dives. We’ve been asked by a few of you who knew a little earlier if we’ll be changing the name but have heard that it may bring bad luck so we’re sticking with Gold Land, although we’ve a few Eagle Divers stickers and flags to put up to make it a little more homely, oh and wait for the mugs, courtesy of the wonderful Renata! So, enough of the text, let’s share some photographs and hopefully you’ll be as happy and excited as we are about joining us soon on your next scuba diving holiday in the Red Sea! Night diving in the Red Sea, is it worth it? 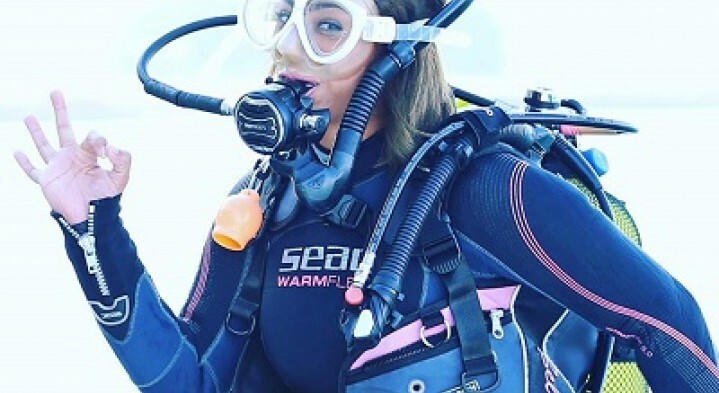 As the Little Mermaid once said, “a whole new world” is waiting to be explored when you become a scuba diver. We’re so lucky in the sights we get to see daily here in the Red Sea, with no two dives on the same dive site ever the same. But what about changing that dive site up completely by discovering it at night? Are night dives really so different from day dives? The short answer is yes! You don’t have daylight to illuminate the reef, so everything changes. Are night dives for you? Have a read on then judge for yourself. This week long diving liveaboard is gauranteed to provide every lasting memories! So, we’re really excited about this one! After the previous trips to the South, we’ve put together some of our favourite spots in to one trip, also known as ‘The best of the Southern Red Sea’. Departing on the 30th of August from Port Ghalib, we’ll once again be on board the luxurious 10 cabin, spacious, purpose-built dive boat to explore the Southern sites of Daedalus, Rocky and Zabargad. 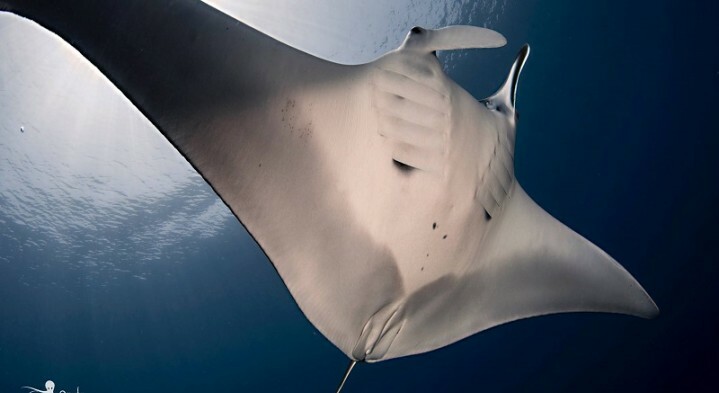 We’ve been lucky in the past to not only be joined by great groups of divers who have all been up for a fun, but safe time underwater and have been rewarded with some amazing sightings from hammerhead sharks, to dugong and more. We’ve all fingers and toes crossed for the same experience next year, so what else can you expect from coming along? Read on to find out…. The only thing you'll regret about learning to dive, is not doing it earlier! If you’ve been thinking about becoming a scuba diver, there is no better place to take your PADI Open Water course than with us in the beautiful Red Sea. Most people associate Sharm el Sheikh with great weather and fantastic diving specifically the very clear water, warm temperatures, and beautiful marine life. But what is actually involved in learning to dive? Let us give you an overview of the PADI Open Water course & schedule so you can work out how best to fit it in to your holiday plans. The PADI Open Water course is the first step in becoming a fully certified diver, who can dive with other certified divers up to a maximum depth of 18m. 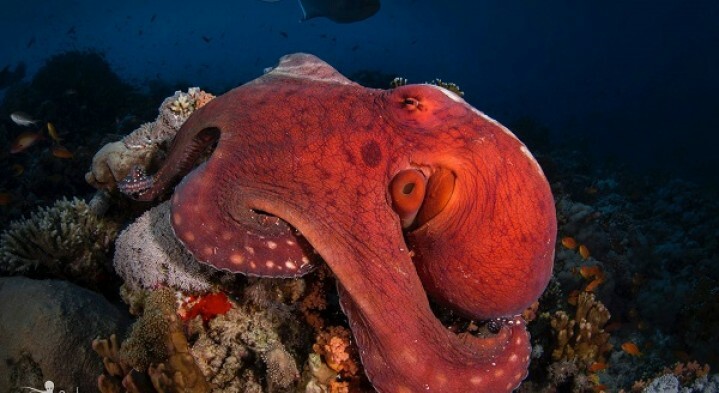 Is there a ‘best time’ to visit the Red Sea for diving? Find out which season suits you best for your perfect Red Sea scuba diving holiday. We get asked a lot ‘when is the best time to dive the Red Sea?’ and fortunately the answer is anytime! But there are certain times of the year that can suit some better than others so let us give you a summary of the different seasons so you can decide when is best for you to come visit. 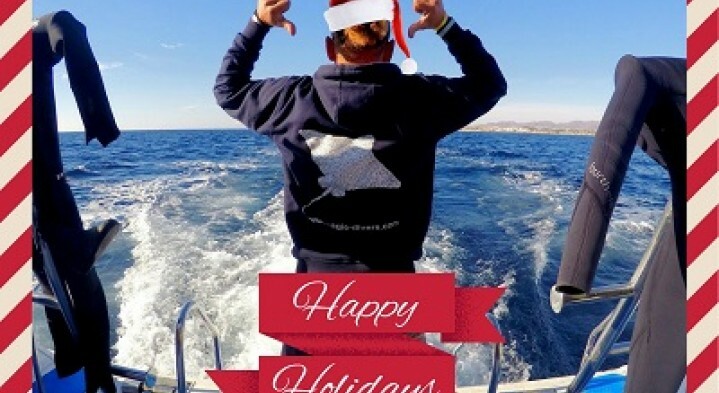 It’s true that Egypt and the Red Sea maintains a relatively warm climate all year around and certainly you can always expect great visibility ranging from 15m-40m+, however there is a variant between winter and summer to both the air and water temperature which you may like to factor in to your scuba diving holiday planning. You’re a diver with a week’s holiday from work, but your friends either don’t dive or can’t get holidays on the same date. You desperately want to dive some where the water is crystal clear, warm and full of marine life, like the Red Sea and Sharm el Sheikh for example, would you make the trip solo? My response, why not!! Ok so solo travelling is not for everyone, but if you think you’re going to spend the week alone with no one to talk to you couldn’t be more wrong. The great thing about diving holidays is that you are 100% guaranteed to meet others you have something in common with, diving! As soon as you get picked up from your accommodation in the morning you’ll be met by one of our guides and introduced to the other divers for that day. Once on the boat there will be a group orientation of the facilities onboard and then an overview of the days schedule before it’s time to set kit up and brief for the first dive. 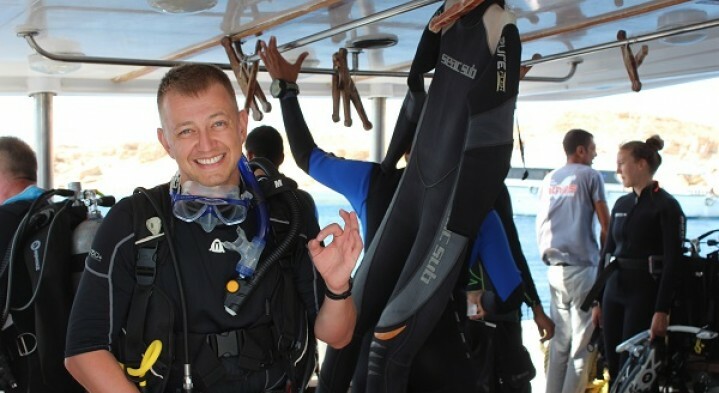 You’ll never dive solo, and even if there isn’t another diver of a similar level for you to buddy up-with, you’ll have the benefit of buddying one of our Instructors instead. Sit back, relax and watch what you could be doing in 2018! 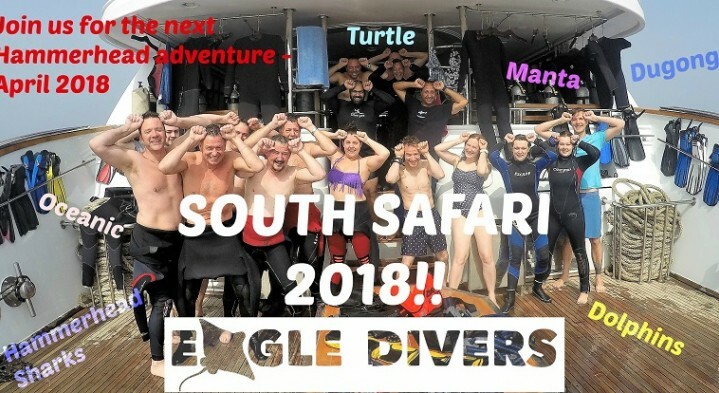 It’s been just over one week since we finished back-to-back dive liveaboards in the Southern Red Sea with an awesome group of divers, but we’re already looking forward to next years trip (confirmed sailing 28 April 2018 Hurghada). Not only were we treated to a beautiful boat with fantastic crew, the diving was simply outstanding and we couldn’t have asked for more! They say a picture is worth a thousand words, but JJ’s video diary is worth so much more (thank you JJ! ), so sit back, relax and watch what you could be doing with us next year! Because despite maybe wanting to, you can't spend all your time underwater! Maybe you’ve got that necessary dry time before flying home or you’re taking a little break in between diving days to spend some time on land, whatever the reason there’s a lot going on in Sharm to keep you occupied. Take a peek at some of our top picks and feel free to contact us for more info. 1. El Sahaba Mosque Old Market – If it’s been a while since you were last in Sharm, or you’re a first-time visitor, we think you’ll be really impressed by the recently completed El Sahaba Mosque. Standing tall in the centre of Old Market, the architecture of the building is truly stunning combined with the setting sun shining off the gold paint work, you’re in for a photo treat! Top tip: It is possible to visit inside of the mosque and if you arrive in shorts, bare shoulders you’ll be provided with scarfs to cover yourself. Visiting during prayer times is not permitted however. 2. Genena City – Specifically Tseppes! If you are a fan of all thing sweets then you should plan at some point to make a stop off here for one of their delicious and freshly baked cakes or quite possibly the best ice cream I’ve tasted (and I’ve tasted a lot!). Located at the back entrance of Genena Mall, you’ll find an inside and large outside sitting area with comfortable swinging chairs and plasma TV often displaying sports games. Top tip: Thursday and Friday nights tend to be the busiest here as this is the weekend in Egypt so you may find it a little noisier and more difficult to get a seat. You can also get a carry out if you’d prefer to walk around the shops, watch the live entertainment or just generally explore the new shopping area. 1. Why did you decide to learn to dive? 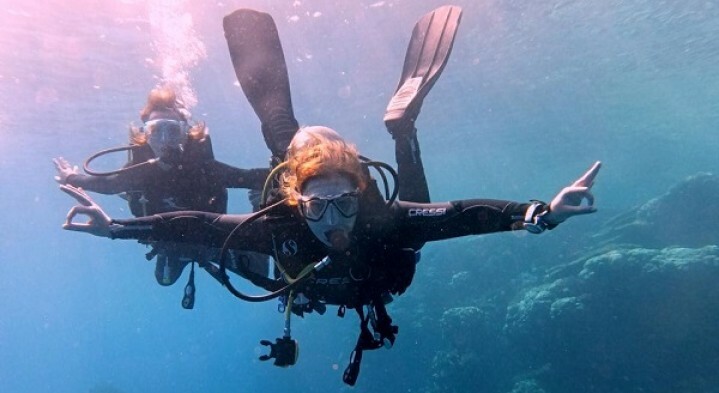 The first time I came to Egypt my mum and I decided to explore as many activities as we can and see as much as we can and one of them was an introduction dive. Then I tried it with my mum but the first time for us it was all about learning just to breathe underwater because it is not normal. We then did it again to actually focus on what we could see under water. After that we decided to cancel all of our other activities and spent 5 days on the boat just making introductory dives because we loved it so much. Once we came back home we decided to take the Open Water Course in Russia but of course it wasn’t as exciting as diving in the Red Sea for sure. From that time we started to go for diving holidays 2 times a year, I think now I have visited Sharm over 25 times. After 5 years of holidays to Sharm I ended up coming to work here for a while because I loved the place although my work wasn’t related to diving, I dived every day I had off work! 2. How has your life changed since being a diver? It brings a lot of new things and opportunities to people when they start diving and first of all you can meet so many new people when you go on a diving holiday, from all around the world, and make many new lifelong friends because you have that one thing in common. I’ve even met other diving buddies in their home countries and explored with them. Also, when you first start diving you’re always looking for the ‘big’ things like sharks, manta and turtle but now as we’ve been diving for longer we can truly appreciate the smaller marine life like nudibranchs and pipefish and just the general colour and condition of the reef. Cheap flights to Sharm el Sheikh! 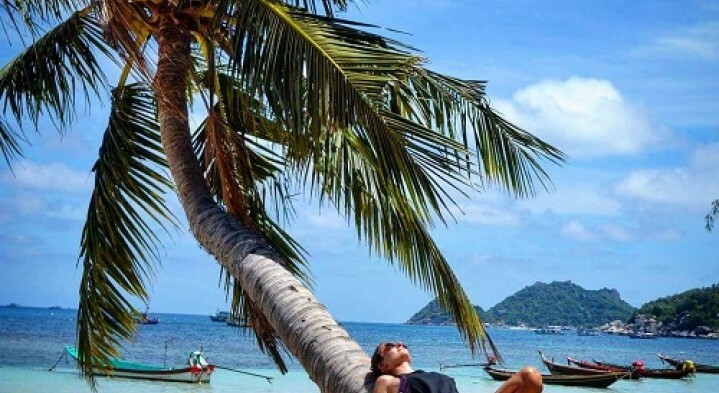 Flights from £1......Stop dreaming and start doing!! Whilst researching holiday options for a guest I stumbled upon the flight prices from the UK to Sharm el Sheikh with Turkish Airlines who, based on the cost, seem to be leading the way with providing the cheapest airfares for indirect flights to Sharm el Sheikh….so cheap, they list flights from Gatwick to Sharm in March for £1 before taxes and fee’s bring the total to £218 return per person! Not only that but we can help with accommodation offers and diving bringing the total for a weeks holiday, flights, accommodation plus 5 days diving to under £500 per person! Here’s a quick summary of flight options available and these prices are based on return flights per person (via Istanbul) and include luggage, in-flight meals and movies, seat selection and bags checked in directly through to Sharm. The journey times aren’t bad either and if you’re worried about a longish layover in Istanbul airport you shouldn’t be, you can book yourself in to the Turkish airways lounge for around 30 euro for a relaxing wait or eat/drink at one of the many bars and restaurants…the time passes before you know it and I should know, I’ve spent the past 2 New Year’s Eve there amongst other trips! Because it blew my mind! 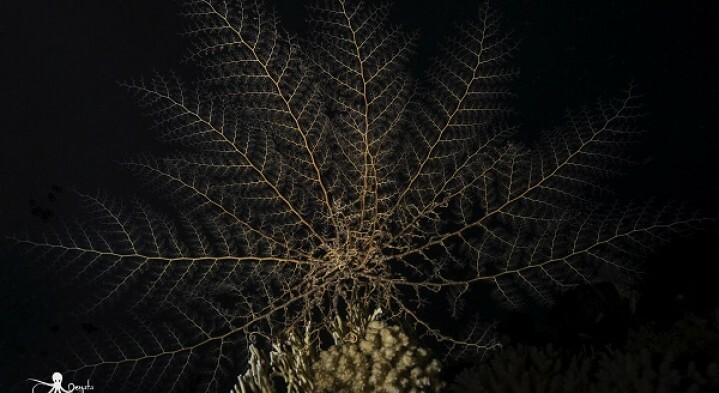 I was completely disconnected from everything that is going on the surface and only focused and connected into my inner self while surrounded by god's art, the corals the fishes and how all of them are living together in a uniquely balanced system. My life changed 180 degree. I finally found my purpose in life being passionate about something that is fulfilling your life is the best thing that could happened to anyone and now I am taking diving as a career and a full time job, oh man I love my job! 3. Any struggles along the way? Umm can't remember it because my love and passion for diving blocked my eyes from seeing the struggles or the obstacles plus I have a very bad memory I can’t remember any. Check out some inspirational stories from my girl buddies all over the world. 2016…….Phew, we’re glad that’s over! Take a look at some of our 'best bits' from last year. Just joking, 2016 hasn’t been that bad a year at all, Different? Definitely; bad? No, not at all. 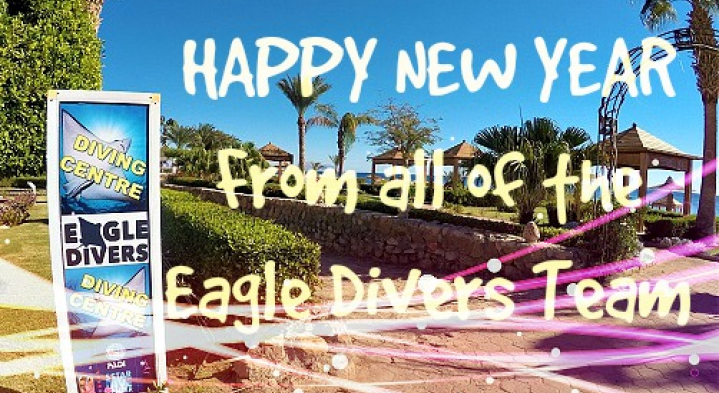 We’re grateful and thankful to still be diving every day in the Red Sea and to have had the opportunity to meet so many new faces from many different countries over the past 12 months. So as we enter the new year, we thought we’d share with you a roundup of some of our highlights. Hopefully you’ll enjoy reading about them as much as we did experiencing them, and the final highlight is dedicated to you! 1. Moving dive centre – Obviously the biggest change (and challenge) in 2016 was moving dive centre and we can safely say it’s been the best decision. Not only has it allowed us to bring on new members of the team, it’s also given us a great house reef meaning we can be in the water in a matter of minutes and whenever suits. But the best part of all is having met and mixed with people from different nationalities, whether through daily diving, introductions to diving and qualifying as new divers. 2. Southern Red Sea safari – 2016 was the first year we ran a diving safari to explore the Southern Red Sea and what a great trip it was. Normally we run an annual Wrecks & Reef trip covering the Northern route but given departing from Hurghada was the most suitable option for many guests, we thought ‘let’s give it a go’. The experience of Hammerheads, dolphins, Oceanic white tips amongst other marine life combined with crystal clear visibility and pristine coral reef all played the part of making this one of the most memorable safari’s to date. We enjoyed it so much we got back and started arranging the next one straight away! 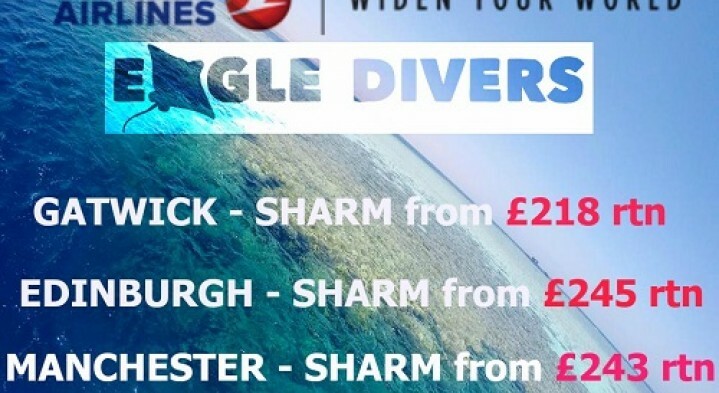 Despite the lack of direct flights to Sharm, we’re currently looking in to a second liveaboard covering the Northern route for later in the year, so if you’ve missed the dives sites in and around Sharm and we could give you an option of visiting them from Hurghada instead! Christmas gift inspiration for your water loving buddies! Check out our round up of some pretty cool gifts that are guaranteed to generate smiles on Christmas morning. Christmas present shopping is normally made easy when you’re buying for a water loving friend or relative but in case you’re stuck for idea’s here’s our round up of some pretty cool gifts that are guaranteed to generate smiles on Christmas morning! 1. Surface Marker Buoy (SMB) – My personal thought is every diver should own their own SMB; used to signal the boat at the end of a dive, for surface supervision during drift dives, and in emergency situations amongst other helpful uses, an SMB nowadays is considered an essential piece of diving equipment. Similar to masks, wetsuits, BCDs and many other types of equipment, SMBs come in a variety of styles and picking the right one for you should be based on the size of the balloon you’re trying to fill as well as the inflation method so it’s as easy to deploy as possible, whilst also being large enough to be visible on the surface when waves are present. 2. Apeks Tech shorts – despite the name these shorts can be worn by anyone and are a firm favourite of our instructor Ash. Long lasting and really comfortable (according to Ash) the shorts have two expandable pockets on each side which are large enough to take a spare mask or SMB with you and can be worn by themselves in the warmer water or over wetsuits/drysuits in colder water. Mike’s Dive Store seems to have the best price so far, costing £65 instead of the original £80. Not only this but 1% from all the sales go to helping UK marine conservation through the Sea-Changers charity! Hammerhead sharks, wrecks, and maybe a dolphin or two! The summer holidays may just be finishing but it’s never too early to start planning your next scuba diving adventure so why not join us on the Spring 2017 Southern Red Sea liveaboard? Departing from Hurghada on the spacious, purpose built safari boat, you’ll have all of the conveniences and comforts of a hotel without the daily commute to the jetty and back. Split over 3 levels, the 10 double/twin air-conditioned and en-suite cabins each with their own mini-fridge, are all uniquely situated on either the main or upper deck allowing for cool sea breezes and beautiful scenes to wake up and go to sleep with. You can choose from one of 2 large and extremely comfortable sundecks, fashioned with stylish sun loungers and rattan furniture or relax in the air-conditioned saloon with TV and surround sound system located on the lower deck.